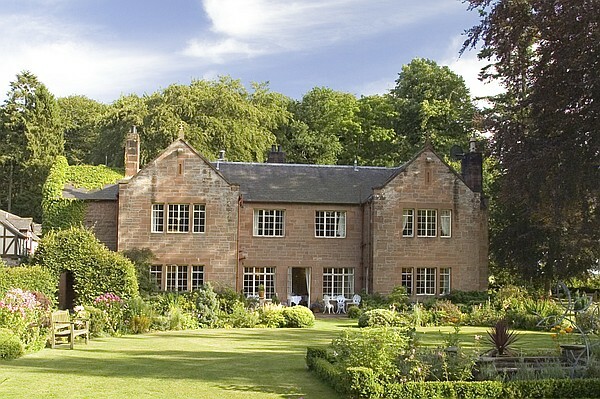 An luxury intimate country house hotel siutated in the heart of Dumfries and Galloway. 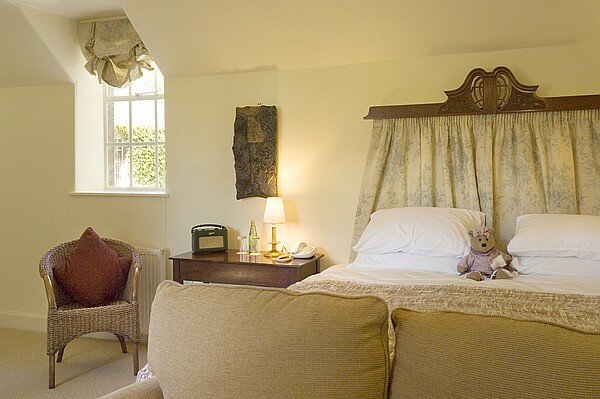 Trigony House Hotel is an old shooting lodge nestled in over four aces of secluded gardens and mature woodland. It is now home to the Moore family who are well renowned for their hospitality and local cuisine. 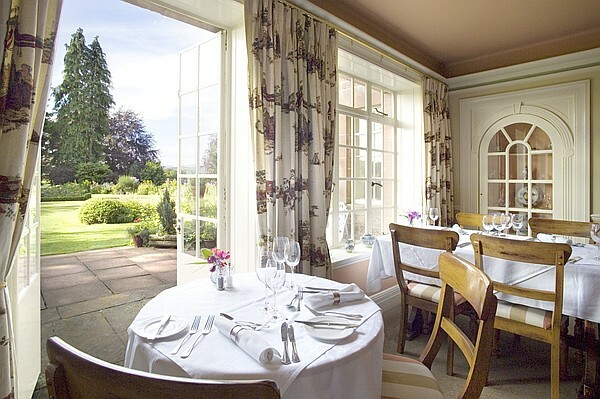 The restaurant overlooks the gardens and serves locally sourced and where possible organic and free range foods. While our walled garden supplies the restaurant with fruit and vegetables during the summer season. The Hotel is in heart of Dumfries and Galloway just outside Thornhill an 18th century village full of small boutiques and craft shops. Toiletries are made especially for the hotel by the Caurnie Soaperie at the Organic Herb Garden in Kirkintilloch. Thornhill – Just a mile from Trigony Hotel is the 18th Century Village of Thornhill, here there are numerous boutiques and arts and crafts shops as well many independent eateries. Nearby Castles – There are a number of classic Scottish castle nearby including the impressive Drumlanrig Castle with its extensive grounds and works of art as well as Morton Closeburn and Caerlaverock Castle. There is a riding stables a short walk from the hotel where lessons or treks of between one and a half hour can be organised. Beginners are welcome as are more experienced riders. Within the Hotel grounds we can organise a falconry experience and lessons where you can learn to fly birds of prey. There are numerous local walks which can be taken from the hotel as well as in the Southern uplands, or the cliff tops along the Solway coast. Trout fishing can be enjoyed in the local lochs as well as Salmon fishing in the River Nith. Fly fishing can also be organised. The hotel has bikes which you can hire to explore the quiet roads to Drumlanrig & Morton Castles or you can take off road paths in the forest of Ae & on The Drumlanrig Estate. There are many local golf courses which you can enjoy, suitable for both the advanced and beginner player. We pride ourselves on our warm welcome to your pets and as such we allow Dogs in all the public rooms apart from the Dining room, however if you would prefer to eat with your dog we can arrange for you to eat in the bar where you’re dog can enjoy the open fire. 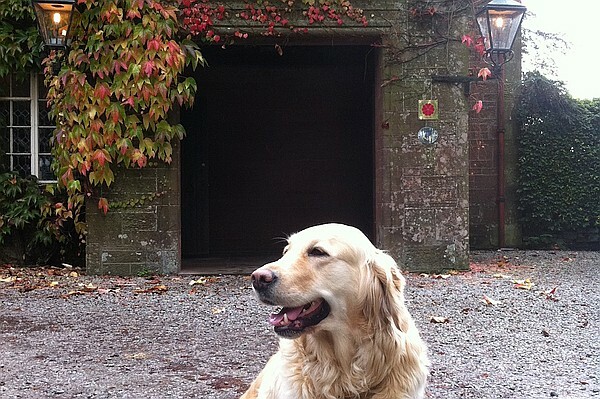 Dogs are welcome to enjoy the grounds surrounding the house and for those of you that would prefer a longer walk from the hotel door there are a number of walks in woodlands and open fields which can be accessed from the grounds. Each dog is provided with a drying towel and we can provide dog food and bedding on request. Discounts are available for single occupancy. A charge of £5 per dog is charged.